The Thinking Man’s Target Date Fund , Ron Surz, April 13, 2019. Aggressive versus Conservative Target Date Funds: Performance From 2007-2018, the Full History, Ron Surz, April 10, 2019. Target Date Funds: Should We Be Satisfied with What We Have? Ron Surz, PSCA 2019 National Conference Presentation, May 1, 2019. Advances in Form and Function of Target Date Funds, Ron Surz, March 6, 2019. Target Date Fund Performance in 2018, Ron Surz, January 28, 2019. Target Date Fund Benchmarks, Ron Surz, The Journal of Performance Measurement, Fall 2018. An Open Letter to the SEC and DOL (December 2018): Please Clarify Who the “Client” is in Target Date Funds, Ron Surz, December 27, 2018. U-shape Target Date Fund Glidepaths:The Continuing Evolution of Target Date Funds, Ron Surz, November 18, 2018. The Ideal Target Date Fund, Ron Surz, October 26, 2018. Presentations slides also available for downloading. Free eBook: The Remarkable Metamorphosis of Target Date Funds, Ron Surz, October 22, 2018. Cruisin’ for a Bruisin’ With Target Date Funds: 5 Reasons Why Target Date Funds Should Be Made Safer, Ron Surz, Investments & Wealth Institute (formerly IMCA), September/October 2018. Advisors Selecting Target Date Funds Crave Legal Protection, Ron Surz, August 3, 2018. Conflicting Interests in Target Date Funds, Ron Surz, June 11, 2018. 10 Important Lessons About Target Date Funds, Ron Surz, April 24, 2018. Finally, a Definitive Answer to the Target Date Fund Risk Question , Ron Surz, March 26, 2018. The Target Date Fund Market is All Oligopoly and Part Monopoly Hampering Innovation, Ron Surz, March 3, 2018. Now for Something Completely Different: A Target Date Fund That is Like No Other, Ron Surz, March 3, 2018. How Long Will Your 401(k) Savings Last After a Market Crash? Ron Surz, February 26, 2018. 401(k) Fiduciaries Are Breaching Their Duty of Care, Ron Surz, February 22, 2018. Combining Target Date Funds with Managed Accounts to Create Personalized Target Date Accounts, Ron Surz, The Spark Journal,. Vol. 27, No. 3, Third quarter 2017. Why Target Date Fund Glide Paths Should Land Safely, But Don’t, Ron Surz, Target Date Solutions, February 13, 2018. How Much Could Your 401(k) Lose in the Next Market Crash? Ron Surz, Target Date Solutions, February 8, 2018. $30 Trillion in Boomer Savings Needs Protection: The Next Market Meltdown Will Bring Lawsuits, Ron Surz, Target Date Solutions, January 2, 2018. The Price of Prudence in Target Date Funds, Ron Surz, Target Date Solutions, November 19, 2017. A Brief Guide for 401(k) Plan Participants, Ron Surz, Target Date Solutions, November 10, 2017. Broken Models: Model Portfolios Need Repair, Ron Surz, Target Date Solutions, August 18, 2017. V for Victory in Target Date Fund Glidepaths: The Crying Need for Change, Ron Surz, Target Date Solutions, August 9, 2017. Beyond the Target Date, Ron Surz, Target Date Solutions, June 26, 2017. Target Date Funds, "Fiduciary Perspectives: Save and Protect," Ron Surz, Target Date Solutions, September 22, 2016. "Discovering Target Date Fund Prudence,", Ron Surz, Target Date Solutions, September 22, 2016. Prudent Custom Target Date Funds Made Easy. Protect Yourself, Your Client and Your Beneficiaries, Ron Surz, Target Date Solutions, July 29, 2015. Prudent Target Date Fund Decisions for Fiduciaries, Ron Surz, Benefits Magazine, July 2015, International Foundation of Employee Benefit Plans (IFEBP). Letter to the Department of Labor, Ron Surz, Target Date Solutions, April 28, 2015. Custom Target Date Funds are a $Trillion Fraud, Paladin Registry, August 14, 2014. Exclusive Interview: "Ron Surz Says Regulators Can’t Solve Target Date Fund Problems", Christopher Carosa, CTFA, Fiduciary News.com, June 17, 2014. Most Fiduciaries using Target Date Funds Are Inviting Lawsuits, Ron Surz, "Investor Watchdog," Paladin Registry, May 27, 2014. Video: How Much Money is Enough for a Comfortable Retirement? Ron DeLegge, host of ETFguide, talks about retirement savings readiness with Ron Surz, March 13, 2014. Video: Are Target Date Funds Good for Investors?, Ron DeLegge, ETFguide, February 27, 2014. The Human Face of Target Date Fund Glidepaths: A Rebuttal to Arnott’s “Glidepath Illusion…”, February 12, 2014. Target Date Funds: The Other 401(k) Scandal, May 2013. 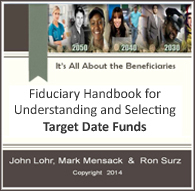 Fiduciary Guide to Selecting Target Date Funds, January 30, 2013. Save and Protect: Two Indisputable Retirement Savings Truths That Are Being Ignored, November 5, 2012. “To” versus “Through” Target Date Funds: A Distinction Without a Difference, October 28, 2012. The Three Stages of Individual Investing are Like a Journey into Space: Retirement Orbits are Unique and Personal, September 2012. Letter to the U.S. Department of Labor, May 29, 2012. Target Date Fund Safe Harbors Attract A Minefield of Imminent Litigation, March 12, 2012. Target Date Fund Scorecard for the 5 Years ending December 2011, February 14, 2012. Best and Worst Performing Target Date Funds in 2011, January 15, 2012. 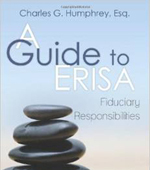 Fiduciary Alert: October 2011, October 4, 2011. The Risks and Rewards of Target Date Funds: Fiduciaries and Participants Are Taking Most of the Risks while Fund Providers Enjoy Most of the Rewards, June 2011. Presentation on De-Risking at fi360 Conference, May 4-6, 2011. 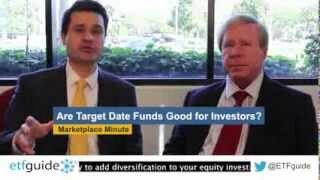 What are the objectives of target date funds? What should they be? Who decides? Who cares?, September 2010. The Hemlock Fund, August 18, 2010. The Hidden Risk in Target Date Funds, Advisor Perspectives, April 27, 2010. Measuring the Risks and Rewards of Target Date Funds, Investments & Wealth Monitor, January/February 2010. Viewpoint: Target-Date Hearings — Of Skateboards and Hills, June 22, 2009. The Good, the Bad and the Ugly of Target Date Funds, March 17, 2008. Evaluating Target Date Lifecycle Funds by Ron Surz and Craig Israelsen, published in The Journal of Performance Measurement, Winter 2007/2008. Letter to the Editor of The Wall Street Journal, February 29, 2008. Replay of Webinar on Fulfilling Fiduciary Responsibilities, July 25, 2018. Click here for presentation slides. Visit Ron's Blog on Seeking Alpha and join the discussion! Are Target Date Funds Good for Investors? YouTube video. Bloomberg Explains Target Date Funds, January 23, 2012. Satire with a cause. Challenge the status quo. You'll laugh. You'll cry. You'll learn why target date funds can be better. Watch this video on YouTube.